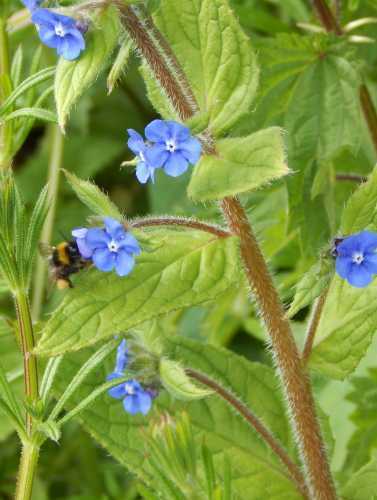 Along the country lanes where I live, Green Alkanet (Pentaglottis sempervirens) grows in abundance. It reminds me a little of forget-me-nots, with its small blue flowers, but look closely and the leaves and stem are a give-away that it’s something different. 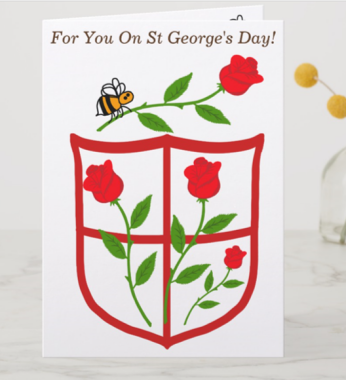 Anyway, the reason I’m such a big fan of it, is because so many bees of different types absolutely love it: bumblebees, the honey bee, and various solitary species, can all be spotted feeding on this wild flower in late April/May. Thus it provides welcome food in early-mid Spring. 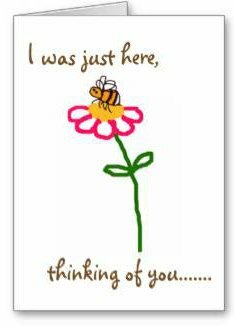 It is related to two herb plants also loved by bees: borage and comfrey. Green Alkanet is a perennial wildflower, native to Western Europe. It is tolerant of slightly shaded verges, but I also see it blooming happily along the sunny roadside verge. Honey bee foraging on Pentaglottis sempervirens. Apparently, the word "alkanet" derives from Middle English, and from Old Spanish alcaneta; the genus name Pentaglottis is Greek, meaning "five tongues" and the species name sempervirens is Latin, and means "always alive", or "evergreen". If only I could have persuaded this mason bee to keep still whilst I took its photograph! 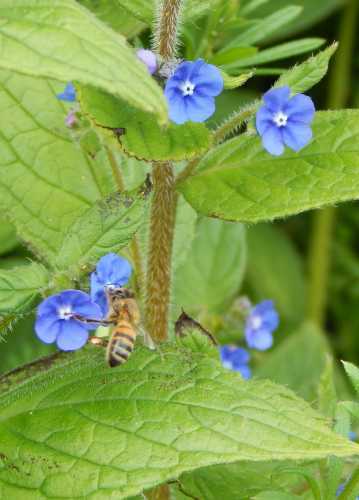 Green alkanet blooms in spring and early summer. It can grow upto about 80cm / 32 inches, and the flower stems are quite hairy. Its stamens are hidden inside narrow flower-tubes which end in a white eye in the centre of a blue flower. 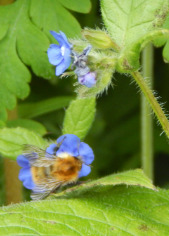 According to the RHS, Green alkanet spreads by seed and regenerates from the deep perennial tap root. It should be said that some people do regard this plant as 'not ideal' for the garden, for the simple reason that it can spread rapidly. 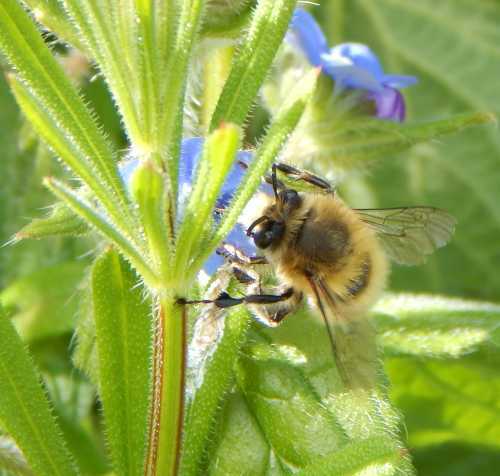 However, an alternative plant offering similar (or even better) value for bees is Anchusa officinalis, also known simply as 'alkanet' or Common Bugloss - another cousin of the borage plant.